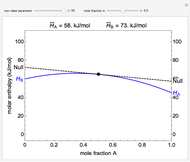 The molar enthalpy of a binary mixture (blue curve) of and is plotted as a function of the mole fraction of component . The end points of the molar enthalpy are the pure-component enthalpies and . 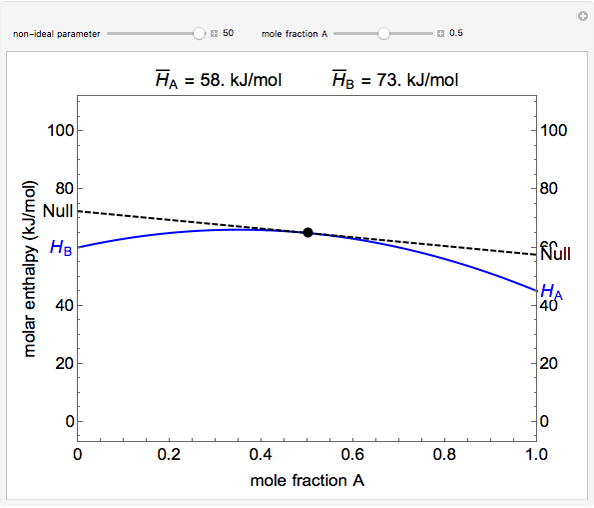 The partial molar enthalpies and are obtained by drawing a tangent line (black, dashed) at the black point, which indicates the mole fraction of the solution. The intersections of this tangent with the y-axis at and correspond to and , respectively. 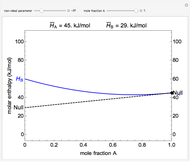 You can change the mole fraction of in the mixture and the non-ideal parameter, which represents deviation from an ideal solution, with sliders. 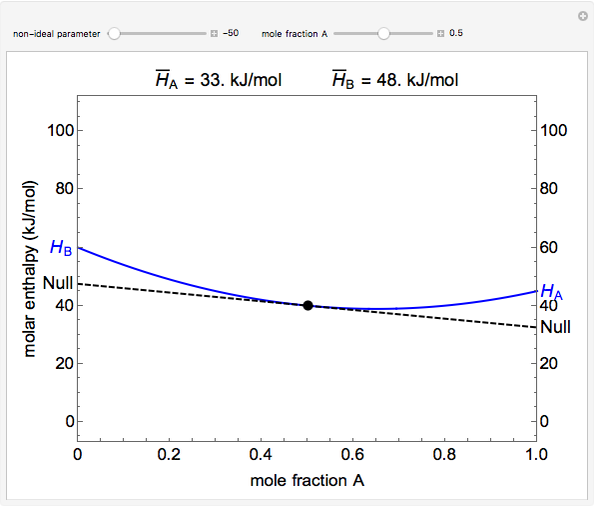 For an ideal solution the non-ideal parameter is zero, and the enthalpy of the mixture is a linear function of the molar enthalpies of the pure components. 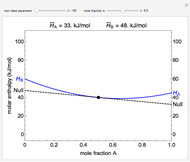 where is the enthalpy (kJ/mol), and are the compositions of and , and is a non-ideal parameter. A screencast video at  shows how to use this Demonstration, and a screencast at  presents an example. 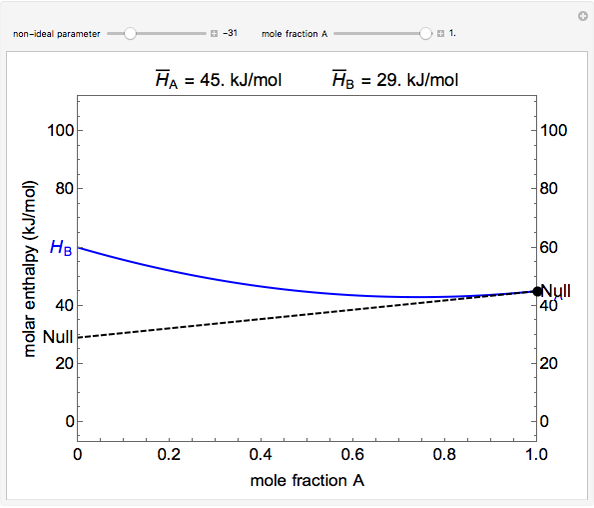 Partial Molar Properties: Binary Solutions [Video]. (Apr 5, 2012) www.youtube.com/watch?v=TFmIPEG_X3A. Simon M. Lane and Rachael L. Baumann "Partial Molar Enthalpy"